American Association for Clinical Chemistry (AACC) - International scientific/medical society of clinical laboratory professionals, physicians, research scientists and other individuals involved with clinical chemistry and other clinical laboratory science-related disciplines. American Chemistry Council (AMC) - Represents the leading companies engaged in the business of chemistry, a $450 billion industry. American Institute of Chemical Engineers (AICHE) - Organization providing leadership to the chemical engineering profession. Association of Consulting Chemists and Chemical Engineers (ACC&CE) - A non-profit membership organization serving the chemical consulting needs of prospective clients and its members since 1928.
International Federation Of Clinical Chemistry and Laboratory Medicine (IFCC) - The IFCC achieves its goals by publishing information and guidelines relating to the education of clinical chemists, by defining principles and publishing recommendations for the standardisation of analytical procedures and for the interpretation of analytical results; by promoting meetings of clinical chemists through congresses, symposia and workshops in clinical chemistry and laboratory medicine, and by encouraging dialogue with clinicians on matters of common interest. National Association of Chemical Distributors (NACD) - NACD's over 335 member companies are located in every region of the U.S. and operate more than 900 chemical distribution facilities. NACD also has member companies in Canada and in Europe. Royal Society of Chemistry (RSG) - The professional body for chemical scientists in the UK with over 46,000 members worldwide. The RSC is a major publisher and provider of chemical information, supports the teaching of the chemical sciences at all levels, organises hundreds of chemical meetings a year and is a leader in communicating science to the public. Synthetic Organic Chemical Manufacturers Association (SOCMA) - Represents the interests of more than 300 member companies encompassing every segment of industry from small specialty producers to large multinational corporations. 94 Elements - There are 94 naturally occuring elements, from hydrogen to plutonium. Together they make up everything in the world. 94 Elements is a global filmmaking project, exploring our lives through the lens of the elements. ACS ChemWorx - A collaborative reference manager that offers timesaving tools and services for scientists and authors. Developed by the American Chemical Society (ACS) and powered by colwiz, ACS ChemWorx dramatically simplifies the process of gathering, presenting, publishing and disseminating scientific research and assessing its global impact. ACS Periodic Table - Web-enhanced periodic table. Biochemistry - Yahoo! search results from Chemistry/Biochemistry query. Biochemistry Online - Introductory textbook to biochemistry that reorganizes topics into what the author Dr. Henry Jakublowski argues will be conceptually easier for students to follow. ChemCollective - Virtual laboratory providing an environment in which students can select from hundreds of standard chemical reagants and combine them in any way they see fit. ChemExper Chemical Directory - A a database listing more than 100,000 chemicals from an international range of suppliers. Chemical - One-stop shop for chemicals and related products and services. Information and resources, source lab supplies, books, compliance materials, safety equipment, on-line quality assurance services, logistics management, and waste treatment. Chemical Abstracts Service (CAS) - CAS produces the world's largest and most comprehensive databases of chemical information. Chemical Book - Chemical search engine. Chemical Industry Search Engine - The leading comprehensive category search engine for chemical and allied industry professionals. Chemical Online - Information about chemical processing, chemical synthesis, chemical reactions and reactors, process control, emissions control, maintenance repair and operations (MRO), process engineering, project engineering, chemical separations, chemical distillation, chemical purification, thin film processing, process design, energy production, energy management, ultrapure processing, heat transfer and heat exchange processes, chemical refining, powder and bulk solids processing, smelting, calcining, mixing and combustion. Chemical Physics Preprint Database - A fully automated electronic archive and distribution server for the international theoretical chemistry community. Chemical Register - Chemical industries manufacturer directory. 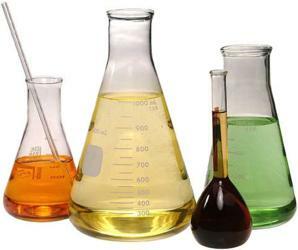 Find chemical industry suppliers. 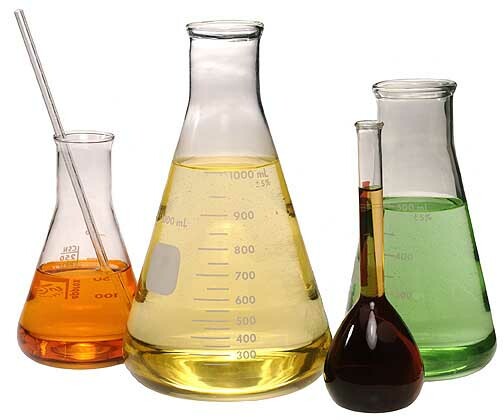 Buy, sell, trade chemicals with industrial suppliers, exporters and importers. Chemicals in the Environment - OPPT Chemical Fact Sheets - EPA Office of Pollution Prevention and Toxics chemical fact sheets. Chemicals Policy Initiative - Information, documentation, and analysis of emerging European and international chemicals management policies and links to key organizations, agencies and documents. Chemistry - Chemistry portal brought to you by the American Chemical Society. Chemistry at Oxford University - Academic news, information and research. Chemistry of How Things Work - General chemistry case studies. Chemistry On-Line - A series of short reviews, followed by problems and exercises on organic chemistry. Chemistry: A Reference Guide to Selected Resources - Maintained by the Library of Congress. ChemPoint - Personalized e-distribution service to the fine and specialty chemical market. ChemWeb - Worldwide club for the chemical community provides a library of chemical journals, databases, newsletters, job exchange information and more. Competitive Analysis Technologies - Petrochemical industry specialists. Computational Chemistry - Yahoo! search results from Chemistry/Computational Chemistry query. Conferences - Yahoo! search results from Chemistry/Conferences query. Delights of Chemistry - Chemistry demonstrations performed at the University of Leeds in the UK. Movies, video, photos, animations, text. Entropy Sites: A Guide - Consists primarily of copyrighted articles from the Journal of Chemical Education dealing with a modern view of entropy: the dispersal of energy in a process (as a function of temperature). Environmental Chemistry - Provides chemistry, environmental and hazardous materials educational resources including a detailed periodic table of elements; articles on chemistry, environmental and hazardous materials issues; a geologic timeline; and more. Eric Weisstein's World of Chemistry - This resource has been assembled over more than a decade by internet encyclopedist Eric W. Weisstein with assistance from the internet community. Full-Text Journals in Chemistry - Directory of free full-text chemistry journals. General Chemistry Online - An introductory, searchable guide to chemistry. General, Organic and Biochemistry - Animations used in association with the General, Organic and Biochemistry course provided at The University of Akron. Hyperactive Molecules - Molecular coordinates and other types of chemical information. Indiana University Molecular Structure Center (IUMSC) - Access to X-ray crystallography data generated at the IUMSC. Crystallographic studies provide sets of atomic coordinates that locate atoms of a molecule in the "unit cell" of a crystal. This information is used to generate images of the molecule and determine distances and angles in the molecule. Additionally, this data allows one to examine the packing of the molecules in the crystal. Such information can lead to an understanding of the properties of the material. Information Retrieval in Chemistry - Chemistry and sciences resource compedium by field and by topic; chemistry mailing lists overview; Internet resources by topic; Greek resources. Introduction to Surface Chemistry - A comprehensive set of web-based tutorials appropriate for undergraduate and M.Sc. courses in surface science/chemistry. IPCS INCHEM on the Web (International Programme of Chemical Safety) - Authoritative information about the hazards of chemicals. IPCS INCHEM provides a means of rapid access to information on chemicals commonly used throughout the world, which may also occur as contaminants in the environment and food. Materials Project - The Materials Project is more than a database of known information. "The tool computes many materials' properties in real time, upon request, using the vast supercomputing capacity of the Lawrence Berkeley Lab. We still don't know most of the properties of most materials,Prof. Gerbrand Ceder says, but he adds "that in many cases these can be derived from known formulas and principles." An ever-growing database of more than 18,000 chemical compounds, the site's tools can quickly predict how two compounds will react with one another, what that composite's molecular structure will be, and how stable it would be at different temperatures and pressures. It used to require months of work - consulting tables of data, performing calculations and carrying out precise lab tests - to create a single phase diagram showing when compounds incorporating several different elements would be solid, liquid or gas. Now, such a diagram can be generated in a matter of minutes. Microchemical Journal - A peer reviewed journal devoted to all aspects and phases of analytical chemistry and chemical analysis. Molecular Universe - Information on molecules and molecular systems. Molecule of the Month - Based at the School of Chemistry, University of Bristol. Molecules in Four Dimenisions (Mol4D) - Organic chemistry educational website. Molecules with Silly or Unusual Names (MOTM) - Believe it or not, some chemists do have a sense of humour, and this page is a testament to that. More Material Safety Data Sheets (MSDS) Links - MSDS links. Nanoworld - Research and service facility dedicated understanding the structure and composition of all materials at atomic, molecular, cellular and macromolecular scales. Nature|Methods - A science methodology journal publishing laboratory techniques and methods papers in the life sciences and areas of chemistry relevant to the life sciences. NMR Knowledge Base - Comprehensive nuclear magnetic resonance (NMR) site, run by German chemist, Professor Dr. Horst Kessler. Nobel Prize in Chemistry - A review of the Nobel Prize in chemistry in the last one hundred years reveals how the prize awarding institution has interpreted Alfred Nobel's intentions. Organic Chemistry - Yahoo! search results from Chemistry/Organic Chemistry query. Organic Chemistry Resources Worldwide - Collects and independently annotates organic chemistry sites primarily useful to synthetic organic chemists involved in academic or industrial research. Organizations - Yahoo! search results from Chemistry/Organizations query. Periodic Table of Elements - Maintained by Los Alamos National Laboratory. Ptable - Interactive periodic table with dynamic layouts showing names, electrons, oxidation, trend visualization, orbitals, isotopes, and compound search. Phys.org: Chemistry - Chemistry news channel. Polymers - Yahoo! search results from Chemistry/Polymers query. Reactive Chemistry Blog - Webmagazine providing reports of developments in the world of the chemical sciences and related fields. RSC: Chemsoc - Site for chemists and the home of the international chemistry societies' electronic network. The Royal Society of Chemistry (RSC) is the largest organisation in Europe for advancing the chemical sciences. Supported by a worldwide network of members and an international publishing business, our activities span education, conferences, science policy and the promotion of chemistry to the public. RSC: Solid Surfaces Group - The website of the Solid Surfaces subject group of the Royal Society of Chemistry. Small Molecule Discovery Center (SMDC) - Medicinal chemistry. Assists University of California researchers in the identification of small molecules that modulate biochemical or cellular processes and have the potential to alter disease states. Spectroscopy - Yahoo! search results from Chemistry/Spectroscopy query. Surface Science Links - An extensive directory of links to other research groups in the field of surface science, relevant software, discussion groups and useful surface science web servers. Tokyo Chemical Iindustry (TCI) - A leading global manufacturer of fine chemicals for research and commerce. Virtual Chemistry - Choose your own experiments. Virtual Museum of Minerals and Molecules - A web-based focal point and resource for 3-D visualizations of molecules and minerals. The visualizations utilize the Chime web browser plug-in viewer which allows them to be interactively zoomed and rotated so they can be viewed from all angles, much as with a real molecule. They can also be programmed with highlighting features that allow identification of specific atoms, structural sub-components, and mineralogical planes. Visual Elements Periodic Table - Murray Robertson has produced a striking new representation of the chemical elements drawing on the symbolism that surrounds them from the commonplace, nickel in baked beans, to the mythological, Oppenheimer's invocation of Shiva as the genie behind the destructive power of the element plutonium. WebElements - Quality source of information about the periodic table for students and professional scientists. WebMO - A World Wide Web-based interface to computational chemistry packages. WebMO is available for free and can be installed on nearly any Unix or Linux system. What's That Stuff? - Essays on the composition of everyday products and materials. Yale University Sterling Chemistry Library - Extensive chemistry resources, databases, and links. This webpage last updated on Monday, August 28, 2017 8:26 AM.